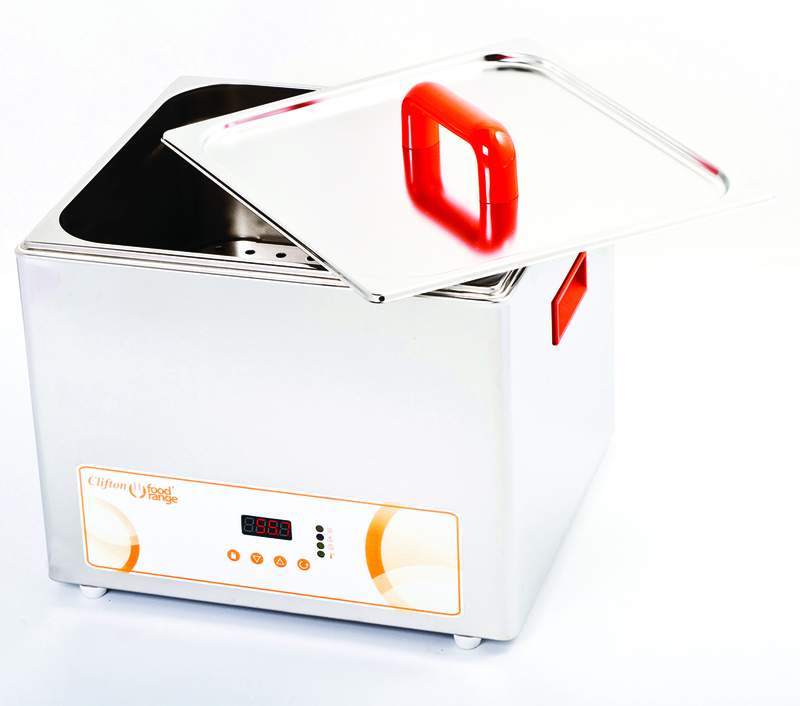 For consistent controlled cooking, Clifton water baths allow chefs to cook in a precise temperature controlled environment, to produce consistently perfect results. 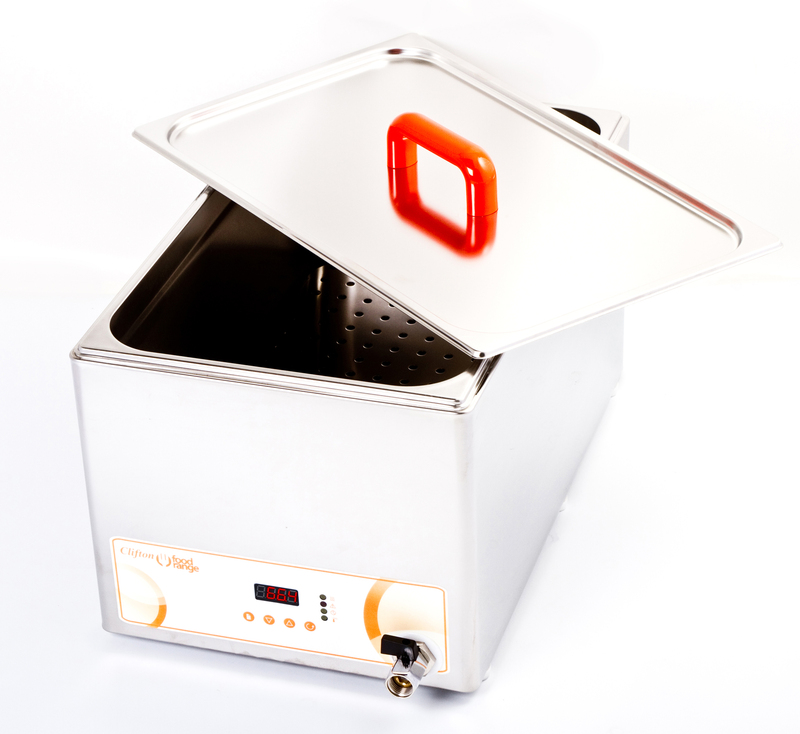 Ideal for sous vide and other low temperature cooking, these baths are an indispensable piece of equipment for all leading chefs worldwide. This large bath is particularly suitable for banqueting, outside catering and other high volume operations. Temperatures can be easily and rapidly set with the push button, wipe clean control panel. 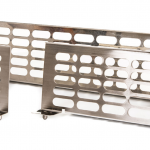 The entire case is constructed from high quality stainless steel. Side lifting handles make it easy to carry the bath around the kitchen and the drain tap allows quick emptying for cleaning. 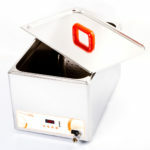 The product is supplied with two stainless steel lids which have easy grab insulated handles. 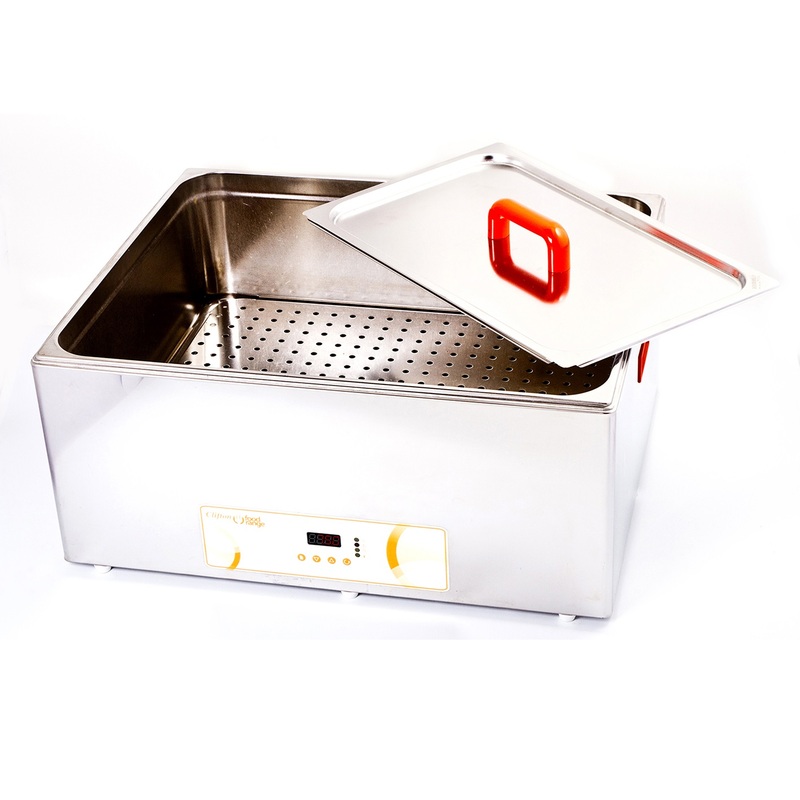 The bath is also supplied with a removable stainless steel perforated shelf which provides effective distribution of heat uniformly throughout the chamber by convection. 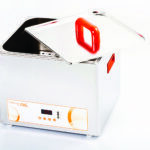 Bi-fold lids are available in both side-to-side and front-to-back configurations. The clever design of the concertina lid on the bath means it can be pushed open to reveal the chamber, and as the lid is attached to the bath, there is no need to find a place to put it when removed.